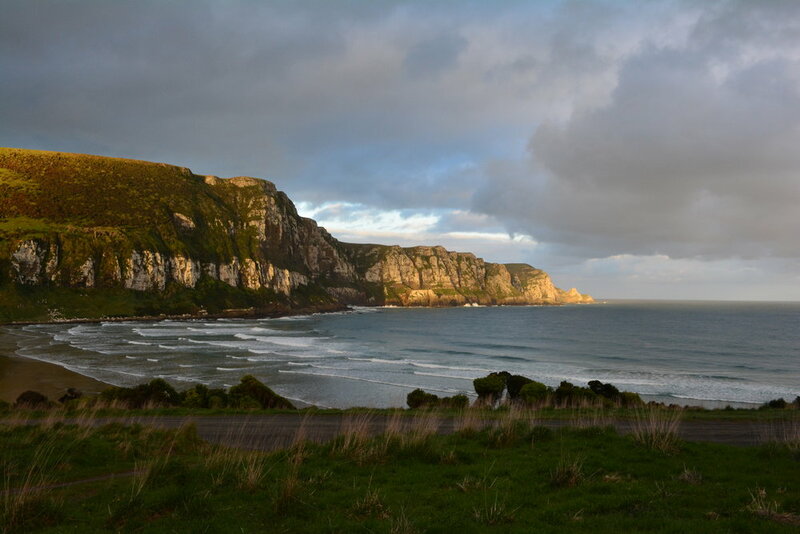 We took the Southern Scenic Route south from Dunedin with the goal of hitting the coastal highlights on our way down to Parakanui, a DOC campsite recommended to us by our friend. First on our list was Nugget Point, a lighthouse stationed at the end of a rather dramatic peninsula. The "nuggets" are wave-eroded rocks that can be viewed from a strategically placed platform at the end of a quick 15 minute walk from the carpark. It was absolutely stunning. We encountered a few other folks on our walk, but otherwise it felt like we were almost alone at the end of the world. Everything felt so wild here! 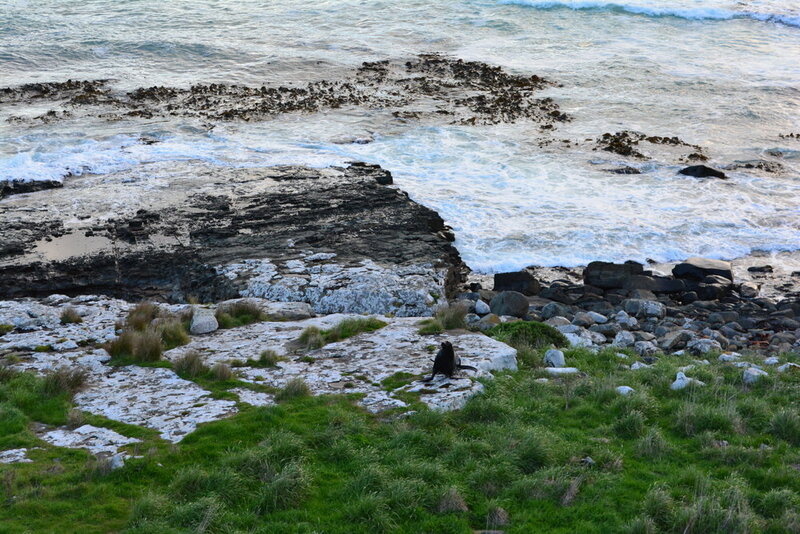 We had plenty of views of fur seals along with the beautiful scenery. Multiple people we've encountered have told us this is one of their favorite views on the Catlins Coast, if not on the entire South Island. 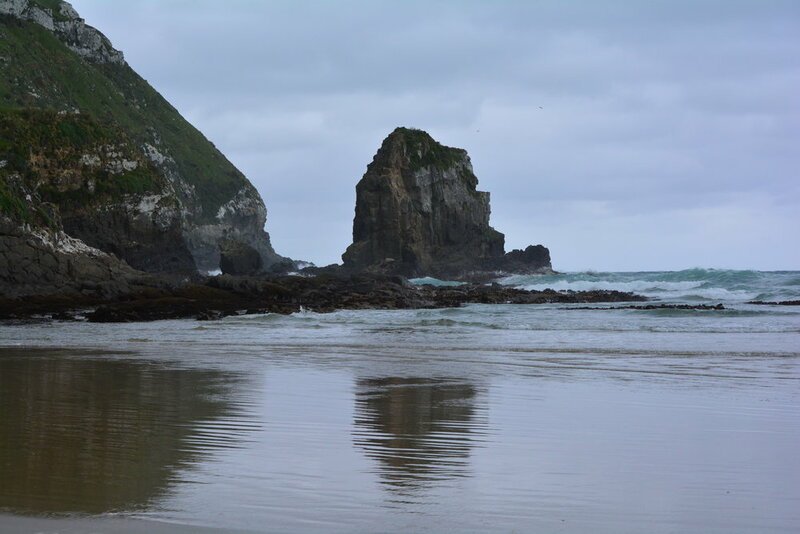 After Nugget Point, we continued on to a beach known for its New Zealand Sea Lions - Surat Bay, which is connected to Cannibal Bay via a short bush walk. I was confused initially, uncertain what the differences are between the fur seals and sea lions (as the seals I've seen back home are typically true seals with internal ears and non-rotatable back flippers). A little research led me to the undrstanding that both fur seals and sea lions are part of the "eared seals" category, with external ears and hind flippers that can rotate forward to help them walk along the rocks. I was excited to sea the sea lions as they are extremely rare (unfortunately their conservation status is nationally critical) and can only be seen in New Zealand and the subantarctic islands. We were warned by many signs that these creatures are not shy and are very confident around humans - aka keep your distance! I was happy to do so out of respect for these massive mammals anyway. The ones we encountered on the beach here were catching some much-needed shuteye, so we left them to it while we snapped photos from afar. 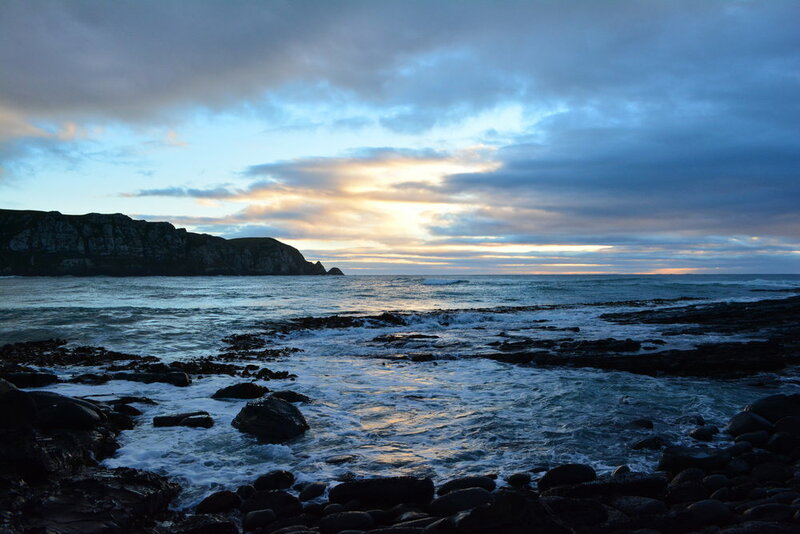 After our foray with the sea lions, we continued on to our campsite at Parakanui Bay. It was a marvelous, simple DOC campsite with drop toilets and not much else, which is just the way I like it. Very uncrowded and serene, it was the perfect place to pop up the tent, cook up dinner, wile away the evening hours with wine and a book, and eventually soak up the sunset. This was one of my favorite spots along the Catlins Coast - if you have a campervan or a tent, make sure to check this spot out! If you're headed there in summer, you might get lucky and spot some Hector's dolphins playing in the surf just off the beach. Keep an eye out for their cute little rounded dorsal fins. Though we were there in October and the water was still a bit cold, it didn't stop us from wandering around the rocky shoreline, snapping photos and reveling in the isolation. The next morning we continued south, and it was time to check out some of the waterfalls that continually appear in many calendars and postage stamps of New Zealand. There are plenty to stop at - consult any guidebook or the handy app Campermate to learn their precise locations, or of course just pull over at any of the green and yellow DOC signs for a convenient detour. 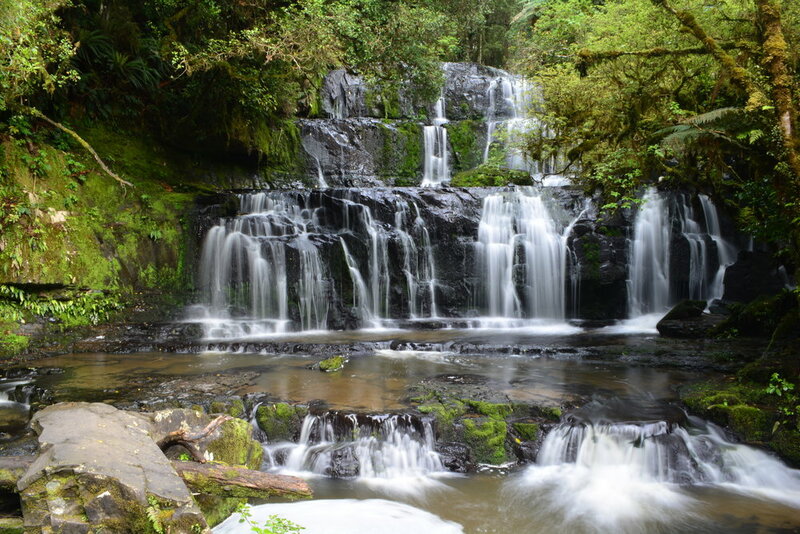 We loved Parakanui Falls, a short 10 minute walk from the carpark that winds its way through native beech forest. The photo opportunities here are heavenly, but I mainly enjoyed the feeling of being in some sort of mossy fairytale wonderland. 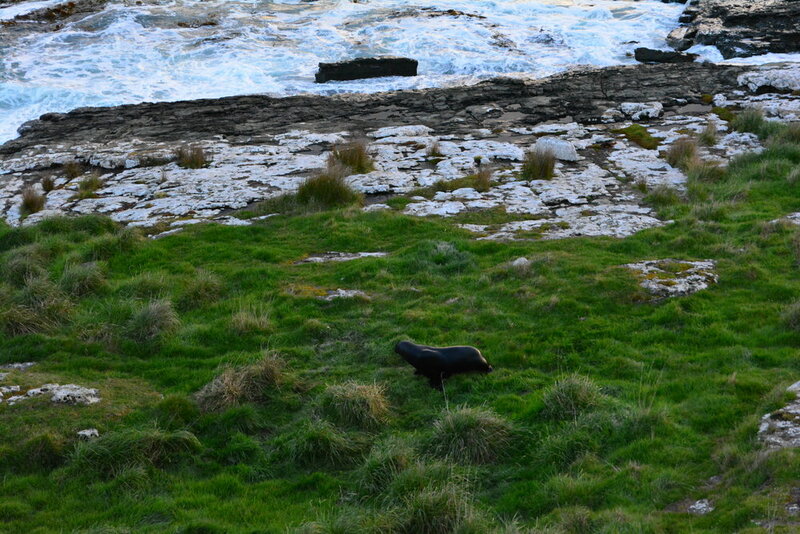 My ending description about the Catlins Coast is that it is forgotten in the best possible way. It really does feel like a secret, and if you allow yourself the time to slow down and appreciate it all, you won't be disappointed and you'll feel like you've stepped back in time and entered a fairytale. You should definitely try and stop by The Lost Gypsy Gallery, this incredible mini-museum full of "rustic automata" (sounds weird but its such a cool place!) stationed in and behind a quirky gypsy wagon. The mastermind behind all of these cool little creations is Blair Somerville, and he really is chock full of imagination and humor. Go give it a go and you'll feel like a kid again. There's even a coffee stand, so you can get the java kick in the pants you need to continue your explorations of the Catlins. Lots of love to this beautiful country, thank you for always igniting my wandering spirit in the best possible way! Our journey was now leading us off of the Southern Scenic Route and up to Te Anau to give our legs a workout on some of New Zealand's most famous Great Walks. Stay tuned!